Two new Davidson librarians, (L to R) Lisa Forrest at the Davidson College Library and Marie Harris at the Davidson Branch Library. 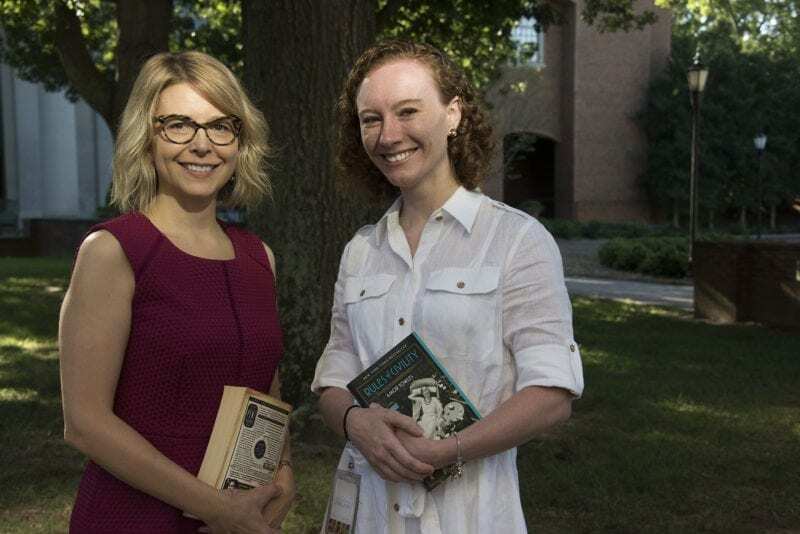 As a new academic year begins, our town of avid readers welcomes two new head librarians — one at the college and one at the public library. Read all about our new librarians here. You’ll see a new face when you visit the Davidson branch of the Charlotte Mecklenburg Library system — Marie Harris, who has succeeded recently retired Ellen Giduz as Location Leader for both the Davidson and Cornelius public libraries. “I have loved libraries since childhood, and I’ve always been drawn to the idea of serving the public. The combination seemed perfect,” she says. With a bachelor’s degree in history from Lander University and a master’s in library and information science from UNCG, Harris is excited to join the team of four full-time staff members (including Nancy Lingle, also a “big-L librarian”), two part-timers, and many dedicated volunteers. She moved to Mint Hill in 2012 and began her library career at ImaginOn in downtown Charlotte. After several years in Teen Services, she became circulation manager at the Mountain Island branch before coming to North Mecklenburg. “We have outreach programs for children with the Ada Jenkins Community Center and Davidson United Methodist Church,” she says, priming the pump for new users of the library. She’s also proud of the free technology tutoring offered to the public during certain hours. Harris the librarian and mom has somehow found time to be Harris the author, with a book coming out in October. She and co-author, Amy Wyckoff, have developed Career Programming for Today’s Teens: Exploring Nontraditional and Vocational Alternatives, to be published September 2018. During time off, Harris and her spouse enjoy family experiences — Winnie-the-Pooh would call them “Expotitions” — with their toddler and pet dog. She also enjoys “making,” fusing disparate materials to create something new. Her ventures into making began with the Idea Box, a “makerspace” in the Charlotte Library that “encourages visitors to get creatively messy,” according to the website. Harris uses a laser cutter available in the space to create pendants and other objects to drill multiple small holes in found wood that she then cross-stitches to make a design. Imagine! So be sure to say hello to the multi-dimensional Marie Harris next time you stop by the Davidson branch library. Maybe we’ll see a makerspace there one of these days. 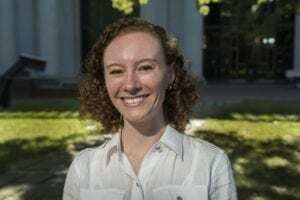 Say hello to Lisa Forrest, new Leland M. Park Director of the Davidson College Library, and a person full of surprises. Not that she comes across as mysterious — she’s an open book (oops) — but surprise is a steady reaction as a get-to-know-you conversation unfolds. Where to start? Lisa Forrest is a published poet and songwriter who began to practice this art as a 10-year-old, growing up in the small farming community of Cottonwood, Minnesota. So, she enlisted in the Army with a job as a counterintelligence assistant, based in Monterey, California. There, she began to take classes for college credit. “I think the Army — and the diverse experiences and people I met while in the service — gave me the confidence to find my way to college,” she says. After graduating from the University of Buffalo with a degree in, surprise, occupational therapy, Forrest stayed in that city to work with children under the age of five in early intervention OT. But she felt a pull toward more education — this time involving books and the people who like to read and learn. With a master’s degree in library and information science from the University of Buffalo, she began her second career at SUNY Buffalo State (“I love Buffalo!”) as an information literacy and outreach librarian. While there, she founded the college’s Rooftop Poetry Club, a literary club that served as a venue for writers to connect and share their work. The SUNY experience led Forrest to Hamilton College in Clinton, New York, where she was director of research and instructional design and served on the library leadership team for five years. “Coming to Davidson was such an easy decision,” she says, and this was not a surprise. “It is a great opportunity to lead positive and lasting change for the college. The staff at the library is so dedicated to student success, and our students are just amazing. Forrest and her family are doing just fine in a college rental, but they are on a mission to find just the right house to settle in, eager to put down roots in their new community.